Over the last few years, Frost Popsicles have become a favourite summer staple to get South Africans through the festive season. Refreshing, fun, and oh-so-delicious, these alcohol-based popsicles saw instant success in Joburg when they first launched in 2016 in their two wine-based flavours, and today they’re available in ten unique flavours, including three new non-alcoholic creations. The Frost Popsicles family started with wine, with the Pierre Jourdan Tranquille and Brut PJ Pops, and were quickly followed by the Ratafia popsicle. Next, in keeping with South Africa’s gin crazy trend, they partnered up with Hope on Hopkins Distillery to create two gin-and-tonic showstoppers: The G&T Classic, and the G&T Berry Infusion. The result is a set of five new cocktail-inspired frozen treats that are bound to be on countless Christmas wish lists this season. 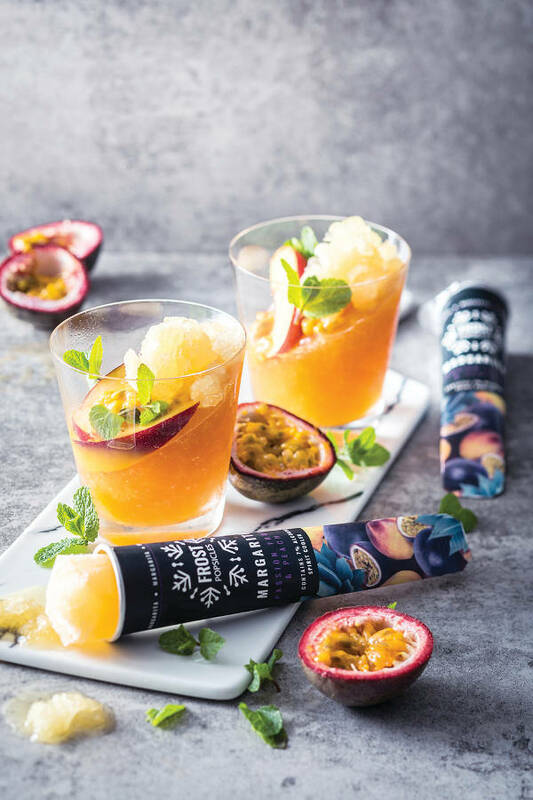 The Passion Fruit and Peach Margarita popsicle is filled with fruity South African notes and a refreshing Esperanza spirit, while the Blood Orange Screwdriver popsicle champions vodka and citrus notes. But for many people, the most exciting addition to the Frost Popsicles family will be there new non-alcoholic creations: The Peach, Strawberry and Banana popsicle, the Pomegranate, Grapefruit and Hibiscus popsicle, and the Vanilla Coffee popsicle. “Over the last 18 months we’ve been amazed by the number of people requesting alcohol-free versions of Frost Popsicles,” says Natasha. “If you walk into your average supermarket, often the only options contain artificial colourants, flavourants and loads of sugar. Our aim with Frost Popsicles has always been to create a range of frozen treats but without the artificial ingredients. 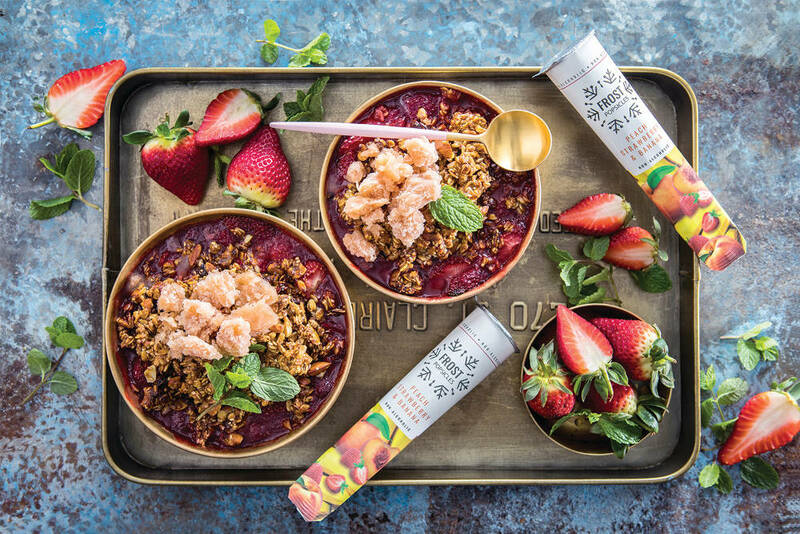 It’s possible to create something delicious without including the nasties.” The perfect summer treat!